Mr. Roots: What were you doing before you became a coffee producer and how did you end up in Chiang Rai? Fuadi:I am an academic by training. My interest in coffee started 7 years ago while I was studying in the US. It was in the US where I frequented specialty coffee shops and had wondered why I did not see Thai coffee beans in these coffee shops. 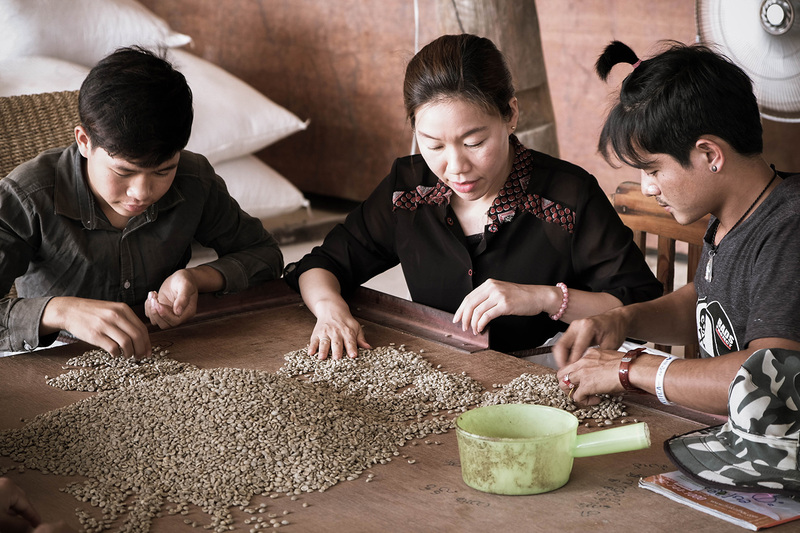 That curiosity and a sense of patriotism led me to search for good quality Thai coffee beans in Chiang Rai and Chiang Mai with hope that I can export these beans to the specialty markets around the world. I could not do this alone without a partner who shares equal passion in coffee and, most importantly, who can station in Chiang Rai and Chiang Mai, the two provinces that have the largest production of Arabica coffee. My co-founder, Jane Kittarattanapaiboon, whom I have known during our studies together in the US, is a Chiang Rai native and is based there. She and I co-founded Beanspire in 2014. Jane is the more important half of Beanspire. I produce the coffee with farmers during the harvest season and market these coffees to roasters in Thailand and abroad. Jane does the rest, including collecting parchment, milling the coffee, sorting the beans and preparing them for delivery and export. Fuadi: The North is a very special place to me. As I said my background is in academia and I study political science. If you follow Thai political news, you would know that the Northern people have a different political preference than the people from Bangkok and the South. The political division is so stark that it led to violent conflicts and the tension is still ongoing today. I was born in the South and grew up in Bangkok. So politically, I should be expected to stand on the opposite end of the political spectrum with people from the North. The passion for coffee that I share with my farmer friends from the North bridges this misunderstanding and blurs the difference in our political opinions. If you asked me, what do I like about this region? It is that despite our differences, the fact that the North produces coffee has allowed me to connect to people here in ways that other commodities cannot. Mr. Roots: How and when did your coffee journey begin? How long have you been processing coffee and what makes you want to continue? Fuadi: As I mentioned earlier, I have been producing coffee formally since 2014 as Beanspire, but my interest in coffee started in 2012. 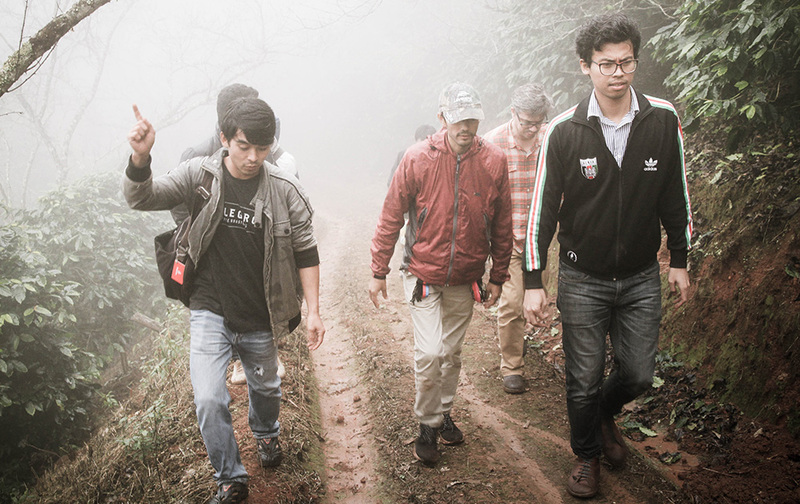 I embarked on this journey because of a sense of curiosity and patriotism, but it is the people I’ve met along the way, particularly my farmer friends in both Chiang Rai and Chiang Mai, that has kept me going. I felt obligated to keep working with them to improve their coffee and to keep generating the recognition for these coffees. I work in two areas, Doi Pangkhon with Ata and Doi Saket with Aoy and Nui, and hope to expand to other farms as well. Fuadi: Coffee has been my life since I started in it. I am actually still studying in the UK so I'm away from Thailand outside of harvest. But even though I am away, a large portion of time is spent on coffee, from corresponding to potential buyers, writing contracts, working on documents to talking to farmers about what’s happening at origin. I hope my academic supervisor is not reading this! I really hope to keep working as an academic and in coffee at the same time. Coffee has allowed me to connect to real world problems, while the academy has allowed me to push the limit of my theoretical thinking. I like both worlds. Luckily, the harvest season in Thailand is during my winter break so that’s when I come back home to spend time in Chiang Rai and Chiang Mai. I am still able to balance both lives. And these two lives actually merge sometimes. 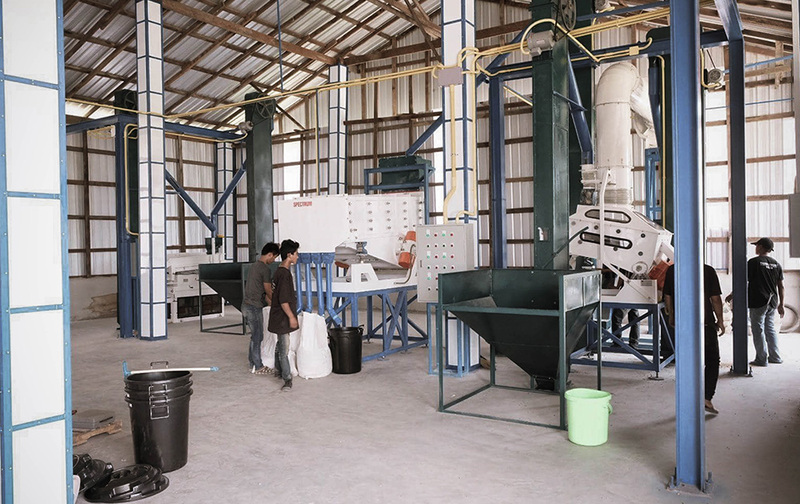 For example, my approach to coffee processing is very theoretical and methodological. I read peer-reviewed papers on coffee processing and get to relay that in layperson's terms to my farmer friends. This level of access to cutting-edge information on coffee has been valuable to me as I hope to help develop Thailand as an exciting specialty coffee origin. In the academic setting, I enjoy making pourovers on Chemex for my academic colleagues who seem to prefer specialty coffee than dark roast coffee from automatic machines. Fuadi: Like I said, I work in coffee, but I am also an academic in training. I hope to keep doing both. As for Beanspire, I hope it can keep growing. It will have to keep growing to be sustainable because as a mill and an exporter, the margin is small. So it’s a question of the economy of scale. In terms of quality of coffee, we are pretty good now. I am happy with the quality (83-86 points) so it’s more about scaling, while maintaining this quality, or improving it just a little bit more (87-89 points). Eventually, what I hope to do is to start exporting competition level quality (90+ points) as well. But this will need to wait since replanting of special variety is just starting to take place in Thailand. Fuadi: I like a really clean natural/dry processed as a flat white. I had this the first time when Roots made Doi Saket's Typica Natural coffee from Aoy and Nui, which I had a hand in developing, as a flat white last season. Since then, it’s my favorite coffee. It’s very very sweet, like putting sugar into your flat white. Now, I get excited when a coffee shop serves a natural coffee as an espresso. Then, I will usually order it and ask for it with milk to see if they can do it better than Doi Saket's Typica Natural. Mr. Roots: If weren’t in the coffee business, what do you think you would be doing now? Fuadi: I would probably be more focused on my academic career, but I know that I will be yearning to be connected to people outside the ivory tower and understand lives from other dimensions. Coffee offers me that fulfillment. It allows me to get my hands dirty and I like that. Fuadi: Many Thai coffee drinkers do not believe in Thai coffee. I have travelled to many cities and know many roasters. I just want to say that we are producing very high quality coffee now. It’s not about good or bad coffee anymore. It’s about personal preference. On average, we are competitive in terms of quality against Hawaii, Colombia or Guatemala. What we need is to produce some competition lots to generate the name for ourselves as the world’s top quality coffee producing origin. We will need to work together to get to that point and that starts with Thai people believing Thai coffee.